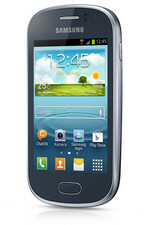 There's nothing wrong with a cheap, functional smartphone, and the Galaxy Fame is exactly that. The trouble is that even at this price the Fame is being squeezed out by much better phones that cost roughly the same amount. Windows-toting Lumia 520 is a much better performer at a similar size, and the Moto's E and -G knock the Fame for six. It's not a bad deal, but for just a tiny bit more there are better deals to be had. The Samsung Galaxy Fame is not a phone that will live forever, and it hasn't quite learned to fly. It is clear from the very outset that Samsung has used the ingredients to create a lower-end smartphone, such as the smaller internal chipset, the smaller screen and the low internal storage. We can see the Samsung Galaxy Fame selling a fair few units, especially given its super low price tag, and we don't see that as a bad thing, given that the majority of users will likely be young, and wanting a way of connecting to Facebook, but for anything more substantial, the handset really struggles. We can see the Samsung Galaxy Fame selling a fair few units, especially given its super low price tag, and we don't see that as a bad thing, given that the majority of users will likely be young, and wanting a way of connecting to Facebook, but for anything more substantial, the handset really struggles. Broadcom VideoCore-IV: Muchos juegos son difícilmente ejecutables con estos adaptadores gráficos o se ejecutan de manera muy lenta. 3.5": Esta es una de las diagonales más pequeñas para smartphones. Grandes tamaños de pantalla permiten resoluciones más altas. Por tanto, los detalles como letras son más grandes. Por otro lado, el consumo de energía es más bajo con diagonales de pantalla más pequeñas y los aparatos son más pequeños, más livianos y más económicos. 0.121 kg: Solo algunos smartphones son más livianos que eso. 58.8%: Una evaluación tan mala es rara. Difícilmente existen portátiles, que sean evaluadas peor.